Idealism is important to philosophical discourse because its adherents assert that reality is actually dependent upon the mind rather than something that exists independent of the mind. Or, put another way, that the ideas and thoughts of the mind constitute the essence or fundamental nature of all reality. Extreme versions of Idealism deny that any world at all exists outside of our minds. Narrower versions of Idealism claim that our understanding of reality reflects the workings of our mind first and foremost—that the properties of objects have no standing independent of the minds perceiving them. Theistic forms of idealism limit reality to the mind of God. In any case, we cannot truly know anything for certain about whatever external world may exist; all we can know are the mental constructs created by our minds, which we can then attribute to an external world. The exact nature and identity of the mind upon which reality is dependent has divided idealists of various sorts for ages. Some argue that there is an objective mind that exists outside of nature. Others argue that the mind is simply the common power of reason or rationality. Still others argue that it is the collective mental faculties of society, while others focus on the minds of individual human beings. According to Plato, there exists a perfect realm of what he calls Form and Ideas, and our world merely contains shadows of that realm. 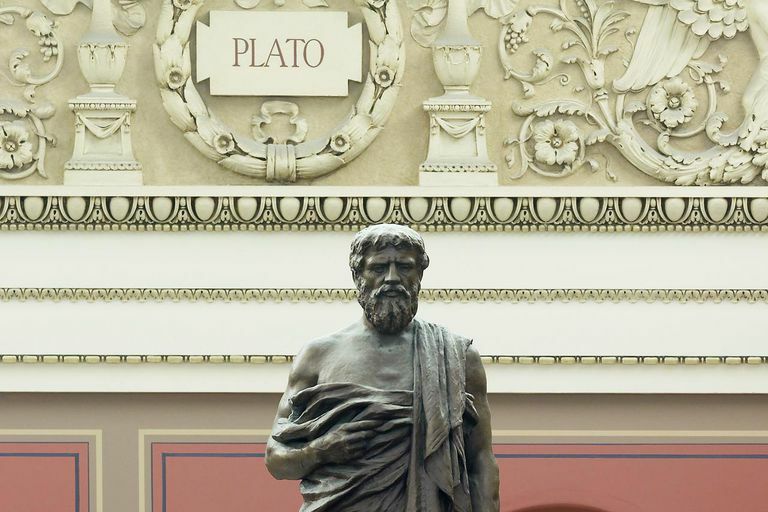 This is often called "Platonic Realism," because Plato seems to have attributed to these Forms an existence independent of any mind. Some have argued, though, that Plato nevertheless also held to a position similar to Immanuel Kant's Transcendental Idealism. According to René Descartes, the only thing that can be known is whatever is going on in our minds—nothing of an external world can be directly accessed or known about. Thus the only true knowledge we can have is that of our own existence, a position summed up in his famous statement "I think, therefore I am." He believed that this was the only thing about knowledge that could not be doubted or questioned. According to Subjective Idealism, only ideas can be known or have any reality (this is also known as solipsism or Dogmatic Idealism). Thus no claims about anything outside of one's mind have any justification. Bishop George Berkeley was the main advocate of this position, and he argued that so-called "objects" only had existence insofar as we perceived them. They were not constructed of independently-existing matter. Reality only seemed to persist either because people perceived it to, or because of the continuing will and mind of God. According to this theory, all of reality is based on the perception of a single Mind—usually, but not always, identified with God—which then communicates its perception to the minds of everyone else. There is no time, space, or other reality outside of the perception of this one Mind; indeed, even we humans are not truly separate from it. We are more akin to cells that are part of a larger organism rather than independent beings. Objective Idealism started with Friedrich Schelling, but found supporters in G.W.F. Hegel, Josiah Royce, and C.S. Peirce. According to Transcendental Idealism, developed by Kant, all knowledge originates in perceived phenomena, which have been organized by categories. This is also sometimes known as Critical Idealism, and it does not deny that external objects or an external reality exists, it just denies that we have access to the true, essential nature of reality or objects. All we have is our perception of them. Similar to Objective Idealism, Absolute Idealism states that all objects are identified with an idea, and the ideal knowledge is itself the system of ideas. It is likewise monistic, its adherents asserting that there is only one mind in which reality is created.